He started the day on air with CFRA. 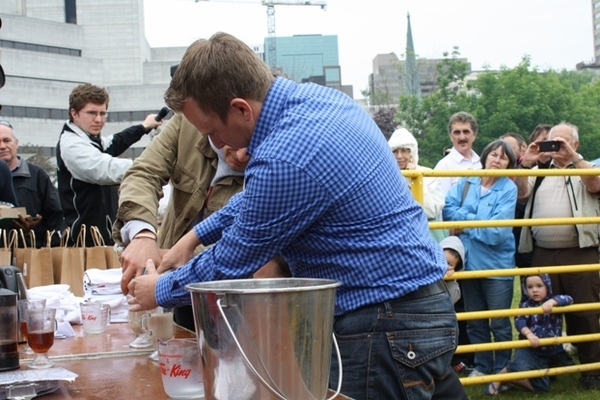 A couple hours after his interview on CFRA, Scott faced his opponent in the cow milking competition. Interestingly, he was pitted against Ron Corbett of the Ottawa Sun, a Rideau-Goulbourn resident. Under the watchful eye of Stuntman Stu from Majic 100, Scott and Ron were asked to make a latte from their milk. The winner would be determined by who had more. The competition was fierce, start to finish. You can see how focused they are on completing the task. There could only be one winner, though. 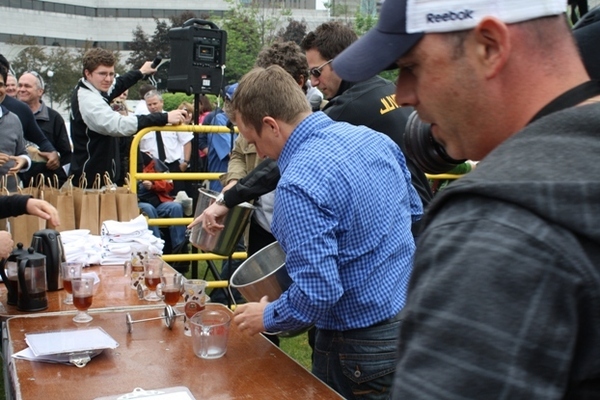 After careful deliberation from Stuntman Stu, Councillor Scott Moffatt was declared the champion! We'll see if he can retain the title in 2013!